Beech Mountain Beekeeping Supplies & Honey is a great new establishment that opened in 2010. The owner, Sam Storey, is a native of the High Country and a fourth generation beekeeper. 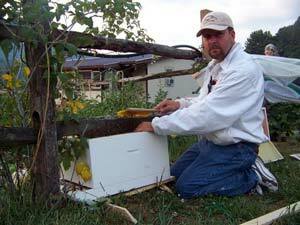 Sam also has an in-depth amount of knowledge and information on all aspects of beekeeping. Sam and his staff invite you to come by and take a look around not only at the beekeeping merchandise, but also behind the scenes, where all the raw honey is uncapped, spun and bottled and placed on the shelves for sale. Beech Mountain Beekeeping Supplies & Honey is a family-owned business that specializes in providing the best North Carolina Honey that our North Carolina Bees can produce. We are a Honey Bee Supplier that also offers high-quality wooden ware, equipment, and tools that can aid in all of your beekeeping pursuits, and we love to help newcomers succeed at this popular pastime. If you've ever wondered How to Start Bee Keeping, you've come to the right place. 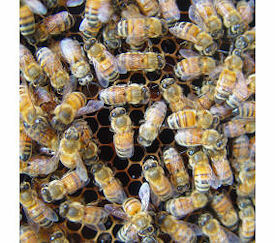 We provide Starter Bee Keeping Kits and general information to all who are interested. If you'd like to find out more about Getting Started in Bee Keeping give us a call at 828-733-4525 or visit our website www.beechmountainbeekeepingsupply.com.